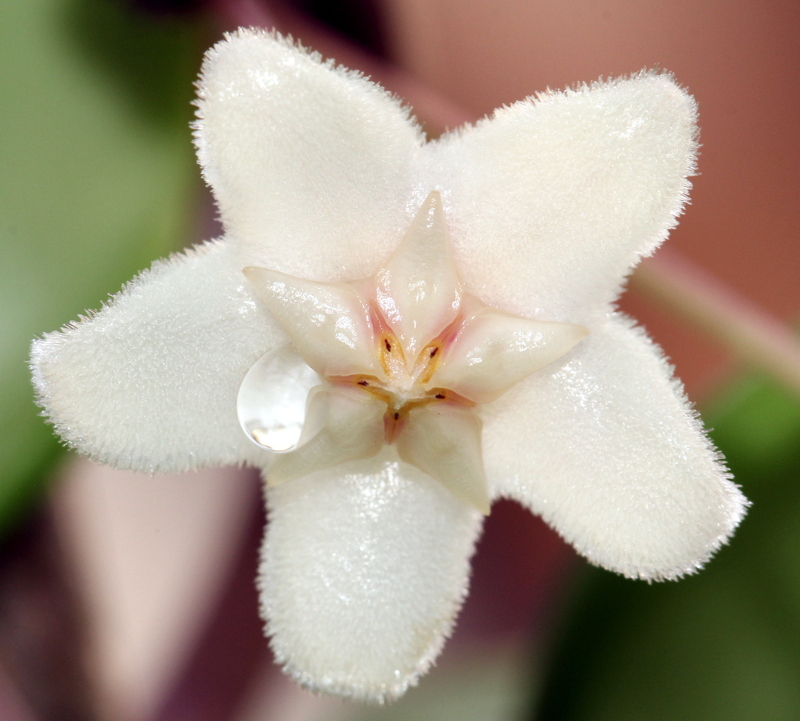 Hoya monetteae IML 1774 is a plant that hails from Sabah, which is on the northern portion of the island of Borneo. I received it as a cutting from David Liddle of Australia in 2008, and struggled with it quite a bit over the years. It has had many stops and starts; every time I think that this is the summer it will bloom for me, it has let me down. This summer however it finally produced two flowers for me in the greenhouse after blasting all but two of its buds. I find that this is a strange Hoya that I could never get growing conditions quite to its liking. I do not think that it has good form, or is particularly attractive so I hesitate to recommend it to the average grower in northern climes – it may grow famously for those in tropical areas. The plants best attribute would have to be the flowers if you can manage to get it to bloom as they are particularly fragrant. I understand now from what I have recently read that this plant really likes it warm and humid, and will not perform well any other way. I have just moved the plant with its two flowers into a grow tent to see if I can bring an additional peduncle into bud and bloom. I will report back if I am successful. Below in the gallery you will find photographs of both plant, leaf and bloom. Click on any image to see full-sized.